A Dhaka court has allowed police to examine the 10 evidence collected from the murder spot of USAID staff Xulhaz Mannan and his friend Mahbub Rabbi Tanoy at the lab of Criminal Investigation Department (CID). Metropolitan Magistrate Nurunnahar Yasmin passed the order on April 28 after inspector (investigation) of Kalabagan Police Station KM Ashraf Uddin and its sub-inspector Ansar Ali filed separate petitions to the court seeking its permission for conducting the test of the evidence at the CID lab, UNB reports. 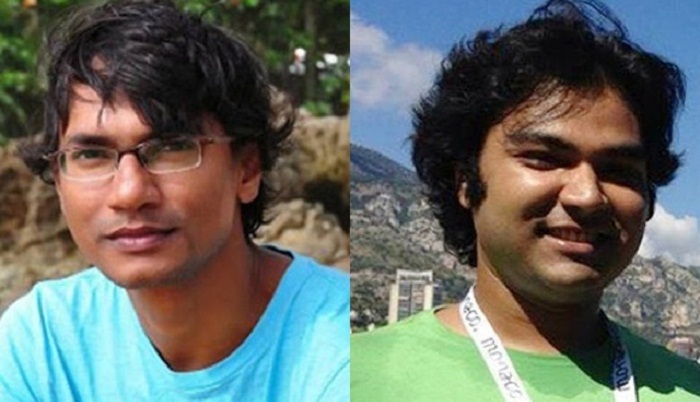 USAID staff Xulhaz Mannan, editor of LGBT magazine Roopbaan, and his friend Tanoy, an activist of theatre group Loknatya Dal, were hacked to death by some unidentified miscreants at an apartment in the capital’s Kalabagan area on April 25. The incident happened two days into the killing of Rajshahi University teacher Prof Rezaul Karim in Rajshahi city's Shalbagan area in the same style. Later, the two cases were filed with Kalabangan Police Station in connection with the double murder. Minhaz Mamun Emon, elder brother of Xulhaz Mannan, the protocol officer of former US ambassador Dan W Mozena, filed the murder case while assistant sub-inspector of the police station Shamim filed the other case in connection with the seizure of two firearms from the spot. Some 5-6 unnamed people were made accused in the two cases.